Love looking at renderings of upcoming developments in and around the city? Click here for our full archive. Rendering courtesy of The Streets. Doubling down on what is arguably the most un-Google-able place in the region, The Streets (formerly City Place) retail and residential center has decided to name its newest development The Place, set to take over the tiny parking lot across from the now-shuttered Walmart along 5th Street in DTLB. Evoking a South Park-like level of parody—in the clip shared, South Park’s hipster SoDaSopa District (“South of Downtown South Park”) creates The Lofts, which is eventually becomes The Residences at The Lofts—The Place at The Streets will be undergoing construction through next year. 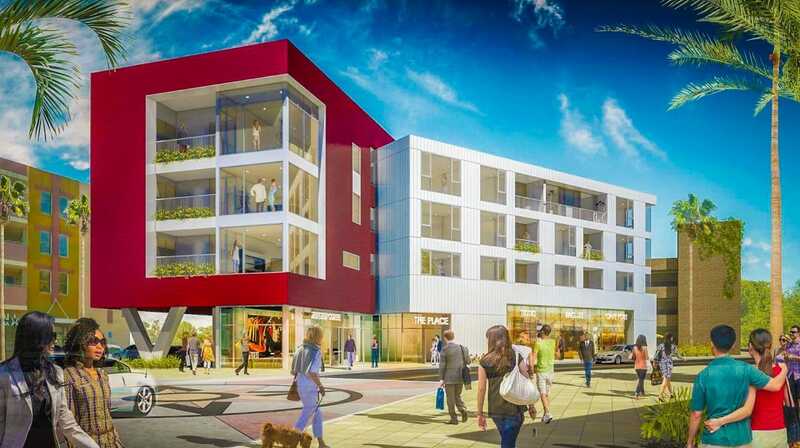 The Place at The Streets is expected to open its door for the market-rate crowd in Spring of 2019, when The Place at The Streets will officially open as DTLB’s newest housing project. We’ll let you know when The Place at The Streets has its ribbon-cutting ceremony at, well, the place we mentioned on that street we mentioned. The Streets has undergone a massive transformation that can be read about here.